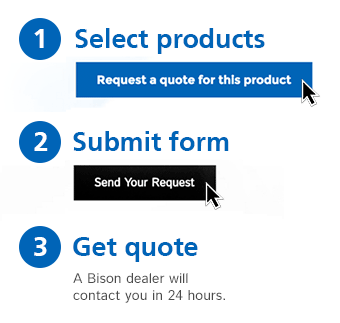 Indoor Padding Systems - Bison, Inc.
Bison offers many indoor padding systems and padding upgrade options to meet your specifications. Choose from standard Protector padding with polyurethane foam and 14 oz. vinyl, Firewall padding with neoprene foam that is certified to meet NFPA 286, or Qwik Ship standard padding available in 18 solid colors and is ready to ship in 10 working days or less. Vinyl covering is treated for protection from mildew and UV damage. If you need safety padding…we’ve got you covered. 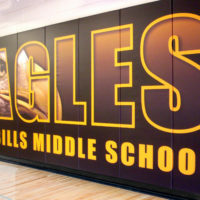 Bison’s wall padding systems protect players from virtually any surface from simple flat walls to columns, doorways and overhead obstructions, both indoor and outdoor and solid color or with full-color graphics. With a wide variety of foams, fabrics, backing substrates and mounting methods, we will help you provide the padding system that best satisfies your program’s needs. 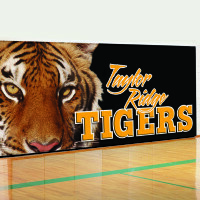 Ready to upgrade your gym or sports field? Call Bison’s customer service hotline at 800-247-7668 or find a local sporting goods dealer that sells Bison’s full line of sports equipment.